(1953) The dope dealer’s name was Earl Voice. His girlfriend’s sister called police when she saw someone bury two jars of heroin in her backyard during the darkness of night. It was Earl’s dope. 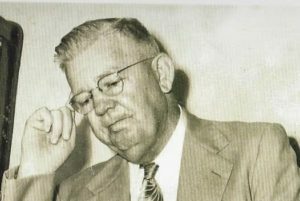 Eight months later, after being arrested, Voice asked to speak to Captain Joe Clark, who was in charge of the Vice Division. Clark said in an interview that he had no idea why the dope dealer asked for him. But the story Earl Voice told was intriguing. A Burglary Detective by the name of Sidney Smith approached Voice about a week after the heroin was recovered from the backyard. He proposed selling the dope back to Voice and the two made a deal. Soon, the heroin made its way back onto the streets of Houston. Voice later said, everything I got, I got from the police station. He even alleged that the dope was sold to him originally by Smith and then resold to him after it was confiscated. Sidney Smith and Captain Foy Melton were indicted. Smith was sent to prison, not for his dealings with Earl Voice, but with other dealers he was doing business with. Later, Smith would be interviewed in prison by an investigator from the Federal Bureau of Narcotics. He had interesting comments to make about the death of Detective Martin Billnitzer, but none of his revelations were ever confirmed. Before the arrests of Melton and Smith, officers Conley and Bennett, who, along with Billnitzer, recovered the dope, began to worry they were being set up to take the fall if it was discovered the heroin was missing from the police department. They heard nothing of the “important investigation” Captain Melton told them about when he took the heroin. In an effort to protect themselves from false allegations, they confided in a fellow officer, William C. Pool, about what had occurred the night they brought the heroin to the police station. Officer Pool decided if the local authorities wouldn’t take action, he’d seek help from the feds. 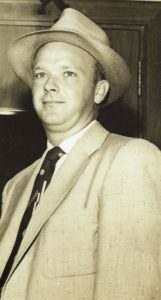 He turned to a Houston Federal Customs agent by the name of Al Scharff and told him the story. Pool’s actions would cause a federal investigation to be initiated. When Chief Morrison learned of the federal investigation, he may have had concerns beyond that of the missing heroin. He had a personal issue with the use of prescription drugs that might be discovered by the inquiry. It would be embarrassing at best and criminal at worst. Next episode; Chief Morrison’s delimna as the investigation by Federal Narcotics began. My novel based on these events, Dishonored and Forgotten, will be available later this year.